In 2005 ABBA The Movie finally was released on DVD. There also is a Limited Edition with a second DVD including the very interesting interview ABBA - The Movie: Looking Back. Lasse Hallström, Benny Andersson and Björn Ulvaeus are interviewed by Carl Magnus Palm and tell some stories and memories. Included are some scenes of the preparations in Stockholm before the tour (a longer clip with such material later was compiled for the ABBAWorld exhibition in Australia). The Movie also is available on Blu-Ray which features the same content as the Limited Edition DVD, but has improved picture quality. So if you have a player, just go for the Blu-Ray for the best experience. According to the interview all Australian concerts were filmed with five cameras each, one steadycam on stage and four cameras on tripods. However, most of the material filmed on the first show in Sydney was damaged by water. Filming originally was intended for a 16 mm (TV) documentation. Extensive corrections and overdubs were added to the audio recordings later in studio. channel cinema screenings. Since all the songs in the movie have Marcus Music track sheets, this would indicate that most of the overdubs were made in that studio. Metronome Studio’s booking calendar shows that Polar used the studio on 15 March, along with a notation that Michael Tretow is “back from Australia”, so perhaps he started preparatory work then. Final mixing of the live recordings seems to have taken place in September (see 11–18/19 September). Additional overdubs were recorded at Europa Film Studios and Bohus Studio. Hopefully there will be a raw as possible release of the audio material one day. that vocal work was done at Bohus Studio. Agnetha is barely audible at all. This suggests that some work was done on the lead vocals at Bohus Studio, when Agnetha wasn’t present. As for the songs mixed for the ABBA – The Movie soundtrack, a number of tapes have survived in the archives. 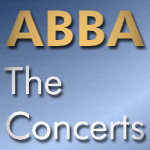 Since most of the songs were not heard in complete versions in the film, this is also reflected in the work done on the songs in the studio: if only a certain section of a particular song were to be used in the movie, then ABBA would sometimes only fine-tune and correct vocal and instrumental parts for that section. In other words, the live versions of songs mixed for the film are not always complete.